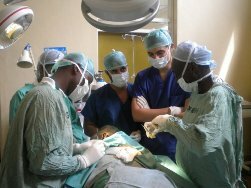 Medical Electives Africa: Advance Africa provides medical electives, nursing electives, midwifery electives, dental electives, physiotherapy electives and work experience placements in Africa. The electives have been designed specifically to meet the needs of students training to be doctors, dentists, physiotherapists, nurses and midwives. We also organise placements for student medics, nurses, midwives, dentists and physiotherapists to gain experience working in Africa and the developing countries. Placements are available to students at any stage of their studies and to those who want to broaden their experience after graduation. Our healthcare placements provide high quality programmes designed to specifically meet your needs. We enjoy strong relationships with a large number of hospitals, clinics, nursing homes, NGOs and government authorities in Africa. These relationships give us the freedom to organise placements quickly and efficiently. Our medical student’s elective placements offer medical school students the opportunity to experience healthcare and medical practice abroad, and to develop their own medical skills. Our programmes will give you vital cross cultural experience. You will travel with other students, get involved in community work and have lots of fun. We offer medical student electives in both government and private hospitals. The hospitals have a wide range of medical, dentistry, midwifery and surgical specialities. Students shadow doctors/nurses and play roles in a wide variety of specialties. You will have a hands-on experience and help in many areas. You will see a huge range of medical conditions. You will get a well rounded experience, good supervision, integration into the local community and staff back-up. 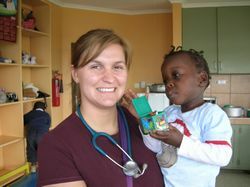 You will be able to make a real difference to people’s lives in a setting where the work is challenging but rewarding. Most electives last six weeks and can be done at any time of the year. Organising an Elective can be time-consuming and difficult. Let us do the hard work for you. We will provide you with a suitable placement that meets your elective requirements and gives you a full and rewarding experience in Africa. ***Additionally, Tanzania requires a work permit a cost of USD$220 per person. Accommodation in our house or home stay. Not included: travel insurance, flights, visa fees, work permits, airport taxes, return trip to the airport, vaccinations, bottled water, snacks and soft drinks. Medicine Electives available in: Kenya, Tanzania, Zanzibar, Malawi, Ethiopia, Rwanda, Ghana, Senegal, Zambia, & Uganda. Nursing & Midwifery Electives available in: Kenya, Tanzania, Zanzibar, Malawi, Ethiopia, South Africa, Rwanda, Ghana, Senegal, Zambia, & Uganda. Dentistry Electives available in: Kenya, Tanzania, Zanzibar, Malawi, Ethiopia, Rwanda, Ghana, Senegal, Zambia, & Uganda. Physiotherapy Electives available in: Kenya, Tanzania, Zanzibar, Malawi, Ethiopia, Rwanda, Ghana, Senegal, Zambia, & Uganda. Psychiatry rotations available in: Kenya, Tanzania, Zanzibar, Malawi, Ethiopia, Rwanda, Ghana, Senegal, Zambia, & Uganda. » Medical Electives Booking Form - Click Here to Apply!